There probably are few things more annoying than having a computer virus. People who rely on their computer for social networking can really have their personal lives affected without a computer every day. Other people who rely on their computer to run an Internet business can be in big trouble if a virus takes over their computer. In this article let's talk about how to remove a computer virus regardless of the reasons why you need it done. 1. First of all relax and understand that whether you are technically inclined or not you can probably do this yourself. Removing a computer virus is not something that is necessarily hard to do. 2. You will need to purchase an antivirus software program and install it before you can begin to remove your virus. There are many antivirus software programs that you can pick from. Because of how important this is to you, you do not want to cut corners on the antivirus software you purchase. You can research online to determine which ones come highly recommended. 3. After you have purchased your software it is time to install it. This is as simple as installing a CD and following the directions. It will lead you step by step and you do not need any technical expertise to do it. 4. Once your software is installed you will want to perform a full scan of your computer. This is where you will find and remove any viruses that are currently infecting your computer. This utility will get rid of major viruses and it is an .exe file which means when you open it, it will clean out your computer automatically. 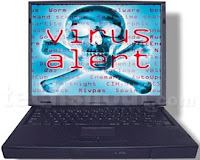 It is created by Mcafee and it updates the utility to add more virus definitions each week. Simply go to the site and download the file. Then copy it on a disc and bring it to the infected computer. Then open the file and let it go to work on removing the virus in your computer. If this still fails to clean up the computer virus you will probably have to take it to a professional and have them look at it for you. Another option is if you have a friend who is computer savvy and possibly they can help you.